The new Visio offers a number of new capabilities – the modern look of the app, new themes and shapes for making professional-looking diagrams, new ways to collaborate with multiple authors and reviewers. We’ve also made it much easier to share those diagrams with your coworkers and friends – even if they don’t have Visio. 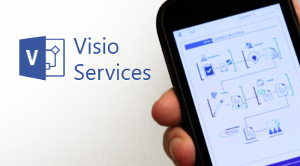 That’s where Visio Services comes in. Visio Services lets you share great-looking diagrams using SharePoint or Office 365 with up to the minute data. One great reason to share your diagrams with others is to get feedback on them. With Visio Services your reviewers can add comments to the diagram – as well as see the comments from others. In fact, you may have people commenting on the diagram using the Visio client and people commenting in the browser at the same time. See the collaboration blog article for more details about the new commenting and collaboration features in Visio and Visio Services. The information in Visio diagrams is not always static. You can connect a diagram to a variety of data sources to show dynamic information in a visual context. Visio Services can refresh the data and update the shapes in the diagram that are linked to data. You can even incorporate diagrams into rich dashboards or larger SharePoint solutions. 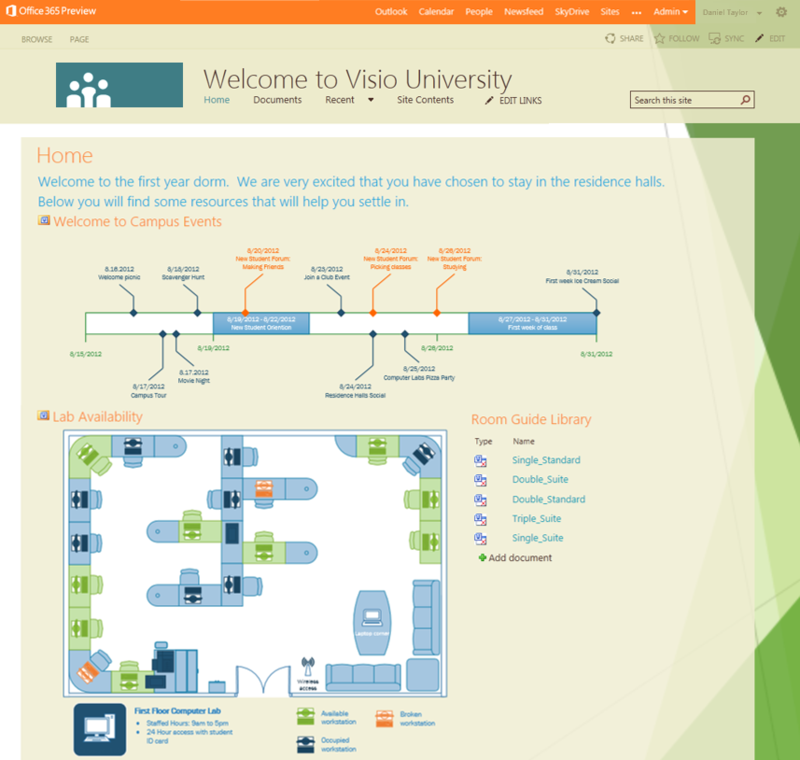 Below is an example of a SharePoint website for a University dorm. 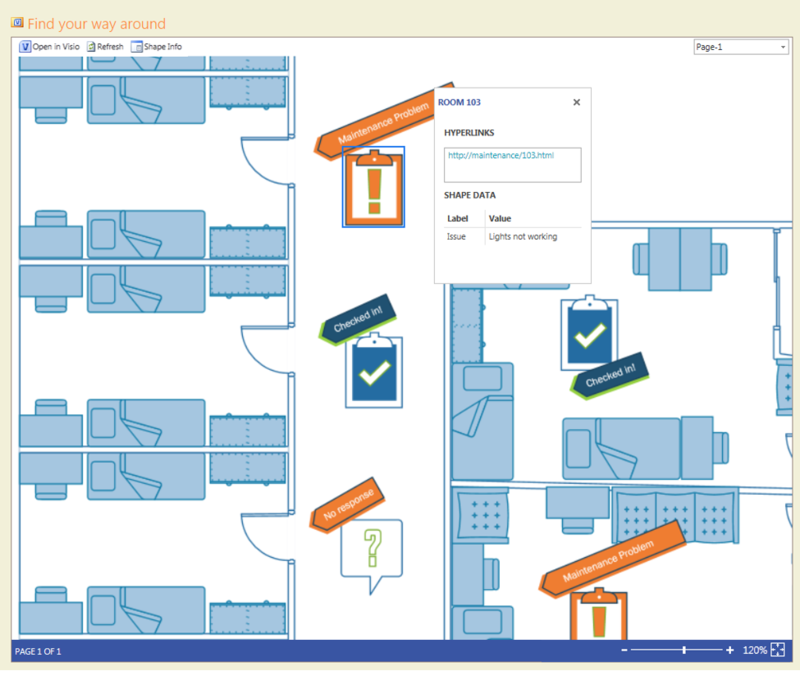 Visio diagrams are embedded in this site to give information about upcoming residence hall events and up to date information about dorm facilities. Diagrams are also available in document libraries for easy access to view in the browser or edit in Visio. Since Visio Services works through your browser, you can use it with a wide variety of devices – desktops, laptops, mobile phones, or tablets. It works with Internet Explorer, Firefox, Chrome, and Safari to give you access using your platform of choice. We’ve also added enhancements for touch and for mobile devices with smaller screens. In the Office 365 Preview admin center, navigate to the SharePoint sites by clicking on the Sites button in the blue header. 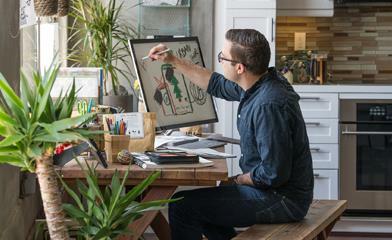 For more information and resources about the Office 365 Preview, check out this Office Preview Getting Started Guide. Visio Services is a way to share modern diagrams across your organization with the latest business information. It’s a great complement to Visio and SharePoint.